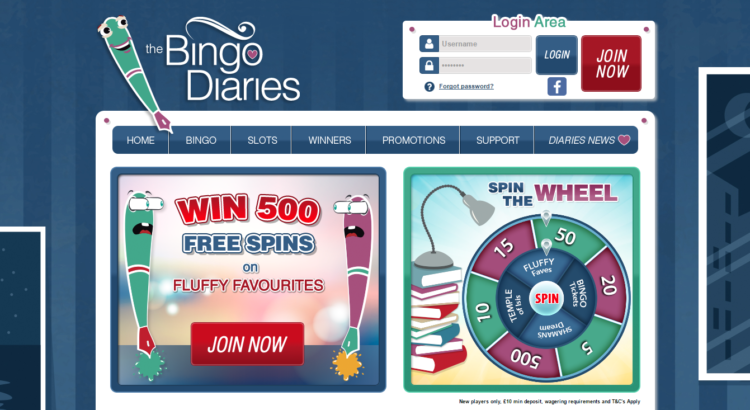 If you want to be kept up to date and play bingo in at the same time then Bingo Diaries maybe the site for you. This Jumpman Gaming site features a tab called “Diaries News” which will keep you up to date with the latest gossip. The background of the site is themed as an organised living room, with bingo balls appearing on the shelves and in the pictures on the walls. We may be wrong but it almost reminds us of a Bridget Jones styled front room. This site differs to other networks as there is no introductory bonus offer. Instead new players get a spin of the wheel after they have made a deposit of £10 or more. The wheel gives players a guaranteed amount of free spins or tickets, ranging from 5 all the way up to 500. Unfortunately you don’t get to choose the game to use your spins on as the game is also determined by the same wheel. The options include Fluffy Favourites, Temple of Isis, Piggy Payout, Sugar Train, Shamans Dream or free tickets to the daily Fifty jackpot game. There’s no promo codes here, this seems to be a common theme on Jumpman Gaming powered sites. Instead we suggest you check out the promotions listed below. Monthly Giveaways – Gain entry into the draw by playing a certain game. Further details are available on the promotions tab on the website. At the time of writing the monthly giveaway is for two lucky players to each win a sterling silver necklace! Balance Booster Jackpot – £250 real cash is up for grabs on the 15th of every month with tickets costing only 10p each! Bingo Diaries is similar to many bingo sites where there is no app available to download. Instead the player can access the site on smartphones and tablets by typing in the address. New players can create an account, and existing players can login with their current details. Bingo Diaries offers the two most common bingo games which are 75 and 90 ball. The site offers a brief summary of each game including the patterns played. When you are ready to jump into the action you will find that games can be played across several rooms which are all easily accessible through the main lobby. If your looking to mix things up a bit then why not try one of the 20+ slot machines on offer. Our recommendations would be Sugar Train, Fluffy Favourites and Temple of Isis. Summer can’t be here all year round, but BBQ Bingo can make you feel like you are at the seaside. Seagulls can be seen grilling fish whilst you are sure to find some sizzling prizes! This new site is powered by the trusted Dragonfish network and licensed by Cassava Bingo. You can get the fire started on your first visit with a split bonus for bingo and slots. 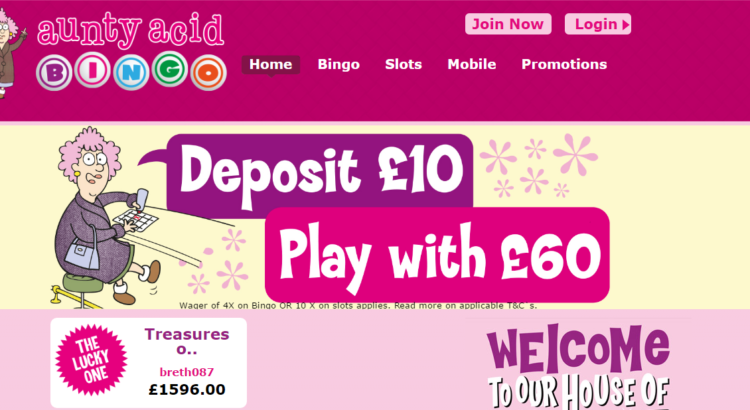 Just deposit £10 and you will receive £20 to spend on bingo and a further £10 to play slots. So you deposit £10 and play with £40 total, now that sounds like a sizzling offer to us! You can receive a 100% added bonus on Monday nights during happy hour. Just use the code HOUR between 4pm and 6pm. The site also sends out other offers to its customers via email so keep an eye out! The late night show – Be one of only 50 exclusive players every night and win up to £100 with no wagering requirements! Weekender – Every Friday through Sunday your chance to win over £700 cash! Loyalty Plan – This monthly plan is split into 4 levels, rookie, pro, master and champ. You move up each level by spending money on the site. The higher your level, the more bingo bonus cash back you get when making a deposit. You will also receive free spins, and free tickets to the Big 10,000 for each level you climb. You can join the summer fun and play on your mobile device anywhere at any time by just entering the site address into your browser. Sign in and enjoy most of the features you play on desktop whilst on the move! There is something for everyone here with rooms for every player, with each offering different themes, prizes and ticket prices. You can play progressive, 90 and 75 ball at BBQ Bingo. The fun doesn’t end with just bingo. With instant win games, table games and a bucket load of slots available including Millionaire Genie, Fluffy Favourites, Sugar Train and Piggy payout. Top games using the trusted Dragonfish Tech software. BBQ Bingo is fully licensed and regulated by the UKGC. Phone number: 800 901 2510. Aunty Acid is a familiar face that has appeared all over social media channels and since 2013 she now has her very own bingo site operated by Cozy Games. Be sure to check out the blog page for some humour and jokes! This site is part of the Live Bingo Network which you are more than likely familiar with as they have other popular sites such Comfy Bingo under their umbrella. 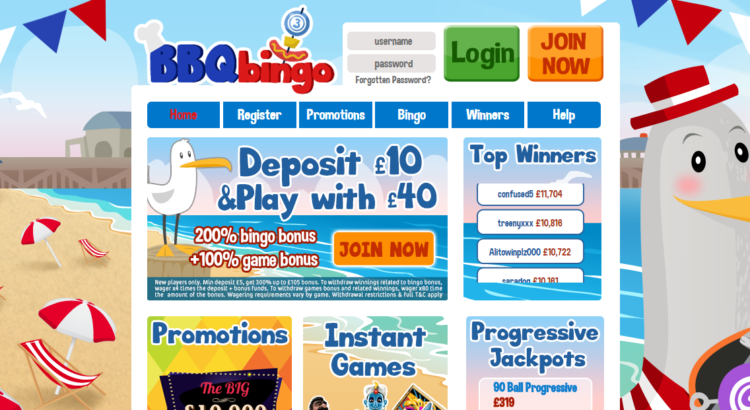 The site reminds us of Cassava brands such as Farmyard Bingo, due to the fun theme of the bingo site. One of the best incentives to join Aunty Acid is the welcome offer. Just register and you will be given an amazing £15 to spend however you like, no deposit required! You will then find further bonuses waiting for you in the form of 500% on your first deposit, followed by 350% and 300% on your second and third respectively. These generous offers give you a decent starting fund to enjoy all the games and promotions on offer. Seasonal promotional codes can be found on the site, and can also be received through SMS and email. Further bonuses can be awarded when you follow Aunty Acid Bingo on twitter, like them on facebook or subscribe to their blog. As an added bonus you will find extra funds are added to your account when you redeposit in the form of a reload bonus! Slots tournament with weekly chances to win £1,500 plus a grand monthly leaderboard with a £4000 prize! Aunty Acid features a full selection of bingo games. Not only can you play the standard 90 and 75 ball bingo, but you will also find 80, 50 and 30 ball bingo too with top prizes up to £5000! In addition to bingo, you will also find casino games including Blackjack, Roulette and Keno. A wide variety of slots are also on offer featuring titles such as Five Pirates, Lucky Devil, Queen of Legends, Treasures of King Arthur and more. If you enjoy scratch games they have a number of those too! Aunty Acid Bingo has a fully optimised site waiting for you on mobile devices. There is no need to download a separate app, just navigate to the site on your chosen browser, sign in or register and you will be able to get playing straight away.